I guess the fire was first lit in Australia. 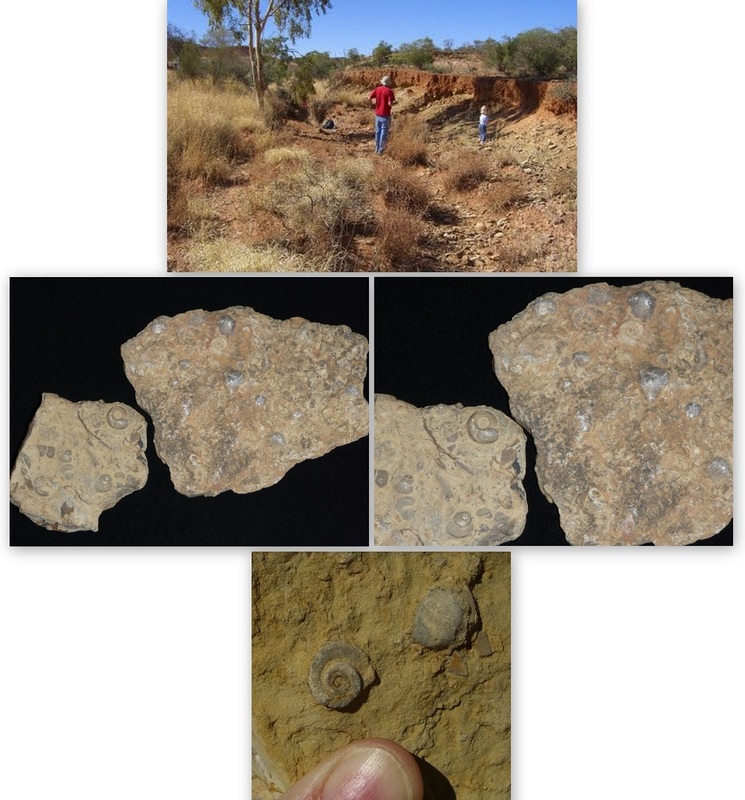 My scientist friend told us about a creek south of Alice Springs where people have found lots of fossils. (See original post here: Fossils in Australia and the photos below.) 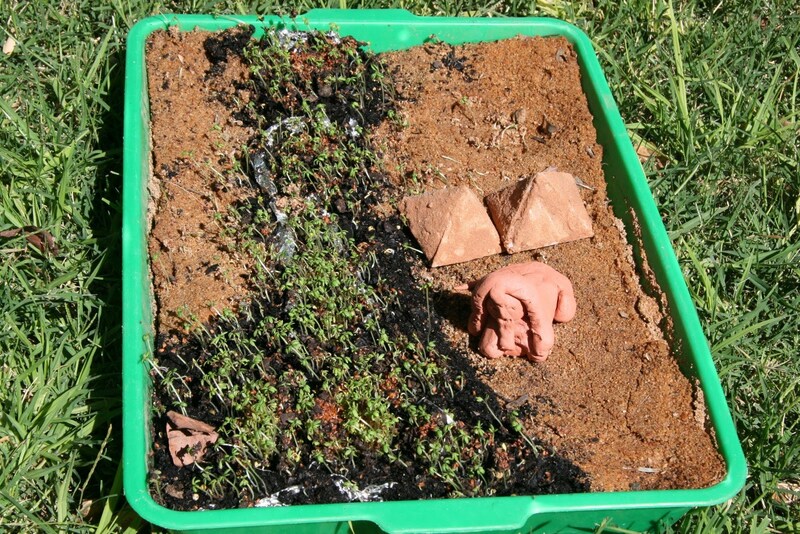 We took the kids and made some great finds. Even my friend, Peter, was impressed! LD was hooked on fossils! Not too long after that we moved to the USA (after 12+ years in central Australia). That in itself is a long saga as we stopped in California, flew to Colorado where we met up with our dog (who flew from Australia ahead of us), bought a car, left the older kids with their aunt in Colorado and flew to the east coast to house hunt, flew back to Colorado, bought a trailer, got our Colorado house ready to sell, packed up the trailer with my stuff from storage, packed the kids and our dog and started driving across the country, made an offer on a house (and worked that all out as we drove across Kansas! ), and drove to Missouri. We spent about 3 or 4 weeks with hubby’s parents in Missouri. One day LD told us he found a fossil out in Grams’ yard. Sure enough he had! 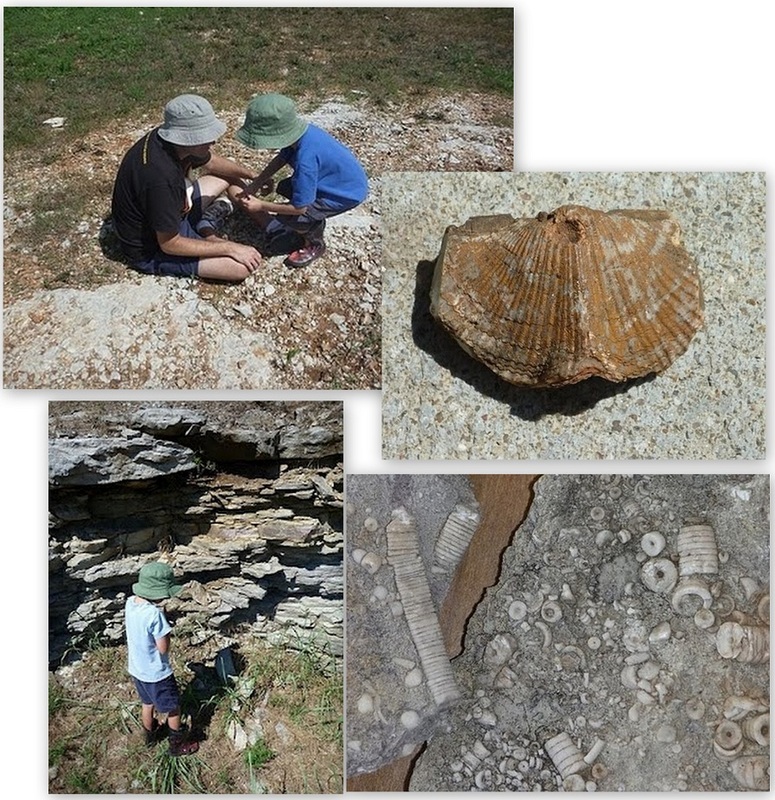 We then went looking around Grams and Gramps’ neighborhood and found a goldmine of fossils! We found crinoids (the stalks of ancient sea lily fossils) and LD found an amazing, complete brachiopod (the one that looks like a closed shell). So this past Friday when our friends said they were going to drive a couple hours to go hunting for fossil shark teeth and invited us along, well, we jumped at the chance! The kids hunted for a long time. 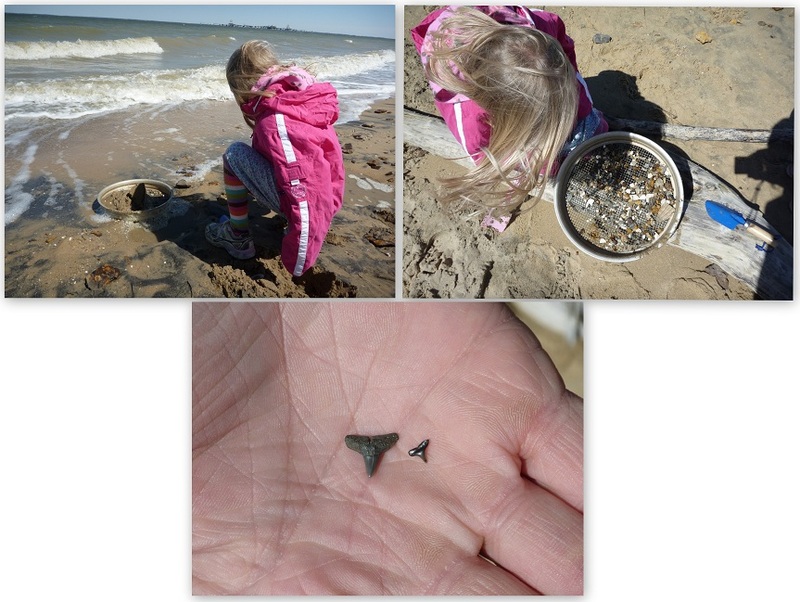 LD found four shark teeth; DD found just one. 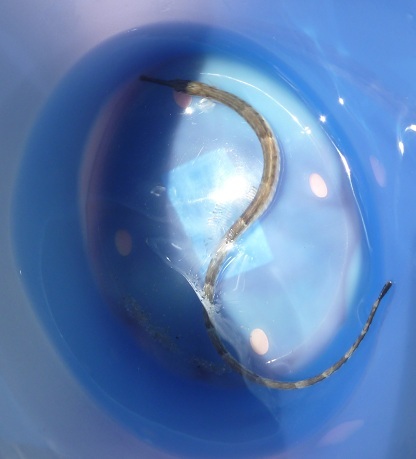 One of the boys we were with found a really cool sea creature. We all had a quick look and then he set it free again. We were thinking it might be a kind of sea horse? 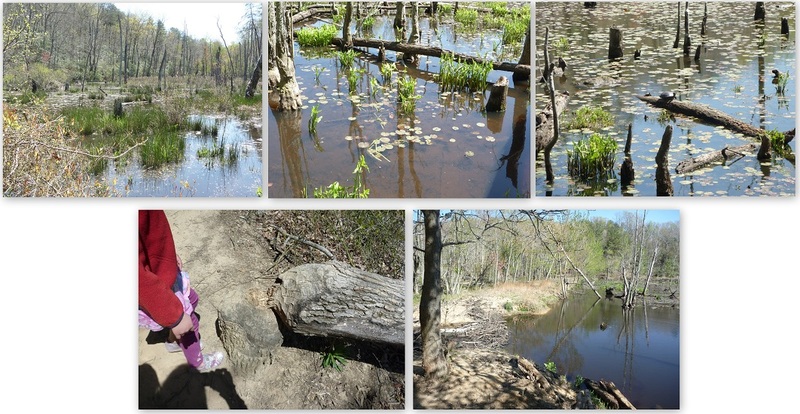 On the path to-and-from the beach we walked along a swamp that had lily pads, turtles and signs of a beaver hard a work (a tree the beaver felled and a beaver dam). We had a barbeque after spending a couple hours on the beach and the kids had a long play at a playground. We got home well past bedtime after the long drive home, but we sure did have a fantastic time! Did Every Parent Do This Today? Wow! That is so cool! How lucky you are to have found all of those fossils. Looked like you had a really fun time.